This course is offered by the Pitcairn Institute of Veterinary Homeopathy. The information here gives an overview of the course but more detailed information is on the Pitcairn Institute site. Are you looking for an answer to challenging cases? Would you like to help problems that drugs don’t touch — like stunted growth and inherited disease? Would you like an answer for clients asking for alternatives to suppressive drugs and invasive surgeries? Would you like to understand health and disease at a deeper level? Homeopathy can answer all these needs and more. Based upon a remarkably sensible and scientific paradigm that addresses patients as a whole, this time-tested therapy offers exciting insights about the underlying dynamics of health and disease. Better yet, it works! You are invited on an exciting journey to learn this ingenious and time-tested medical paradigm in the 5-session PIVH Professional Course in Veterinary Homeopathy. Richard H. Pitcairn, DVM, PhD, considered one of the foremost veterinary homeopaths in the U.S., is an instructor, along with other faculty. 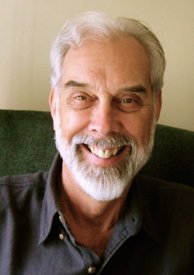 Author of the best-selling Complete Guide to Natural Health for Dogs and Cats, Dr. Pitcairn has practiced homeopathy since 1980 and taught it steadily since 1985. The teaching faculty includes other highly qualified homeopathic veterinarians offering a broad and exceptional background of experience and knowledge. Getting the right start is essential in homeopathy and you will receive a strong foundation in its guiding principles, not always adequately covered in shorter programs. Through lecture, discussion, readings and homework exercises you will learn how to: Conduct an in-depth initial interview and exam. Choose the reference books, based on experience, that will best guide you in choosing prescriptions. Select the best potency and treatment schedules. Obtain, administer and store the medicines. Interpret patient responses (palliation, suppression or cure), an eye-opening approach that will help you better understand ALL your cases. We also offer practice tips helpful for homeopathy, such as appropriate ways to keep records, bill for your time, handle emergencies and make efficient use of staff, phones, mentors and the internet. We will also introduce you to computer programs to help streamline your choice of medicines. When you finish, you can expect to have the skills you need to treat and cure cases, provided you attend all sessions, complete homework and study assignments and begin to work with patients during the course. With growing experience and study, you will work towards the goal of becoming increasingly skillful and efficient, with most follow-up appointments taking 15 minutes or less. For continued learning, PIVH periodically offers a four-session Advanced Course, in addition to an annual meeting for graduates and an on-line forum and a case consultation service. The Academy of Veterinary Homeopathy, a professional organization which accredits this course towards certification, offers students a 1-year free membership, a journal, a mentor program and an annual conference. We also support the class in getting to know each other and staying in touch. We are happy to answer questions about the program and help you decide if it is right for you. You can email questions to Sarah Stieg, DVM, the director of the program. The next course will began in September 2017 in Portland, Oregon. All the class sessions are at the same location. Session 1 is September 20–23, 2017, Portland, Oregon. Session 2 is November 29 – December 2, 2017, Portland, Oregon. Session 3 is March 14 – 17, 2018, Portland, Oregon. Session 4 is June 20 – 23, 2018, Portland, Oregon. All classes are 4 days in length, starting on Wednesday morning. A CE certificate issued by the Pitcairn Institute of Veterinary Homeopathy is given for 20 hrs classroom time. An Outline of the Course Contents. What those that attended the course already have to say about it. Book List—required books (for the veterinary course) and books recommended for the study of homeopathy.